Organizations can expect obvious results when they implement an empowered environment. However, many people fail to realize the impact of the hidden effects of the empowerment process. These hidden benefits can have a more dramatic impact on profitability than a leader might imagine. When one considers the issue of the effective use of resources, the hidden impact of empowerment clearly demonstrates how leaders can effectively marshal the resources they are responsible for. Many traditional managers fail to understand and comprehend how empowerment can impact their bottom line, as there are a number of hidden costs associated with restricting employee abilities and capabilities. Most are focused on their power and authority and concentrate on ways to maintain their personal power base. Leaders, on the other hand, understand that tapping into the human potential of their employees unleashes a tremendous source of power, information and expertise that the organization can ultimately benefit from. Most leaders are unaware of the hidden or intangible benefits associated with empowerment. However, the thoughtful leader who takes the time to consider the costs of the traditional approach will find them staggering, which is often sufficient to motivate them to move the empowerment process along as quickly as possible. The following outlines the great number of benefits that companies can measure beyond the results of increased productivity, efficiency, effectiveness and productivity when implementing an empowered workplace. Absenteeism results from employee boredom with their jobs and a feeling that what they do is not valued and does not contribute to the success of the company. In other words, there is no personal connection between the company and the individual employee. As employee involvement increases through empowerment, most companies experience a noticeable decrease in absenteeism because the individual contribution to the organization is sought, valued and recognized. Empowered individuals are challenged to their maximum capacity and abilities, resulting in an increase in overall job satisfaction. Consequently, the cost of lost productivity associated with absenteeism is reduced and can be directly attributed to a benefit and positive effect of empowerment. Employee turnover is often due to a lack of value, opportunity and growth within a company. Employees feel that their only option is to look for a better job. Without job satisfaction, they appraise their work only in terms of what they are being paid. Since empowerment taps the individual resources each employee can provide and focuses the combined efforts of all employees toward a common goal, job satisfaction increases. As a result, for the first time many employees feel that they are valued, and they come to understand their role in the company’s success. They are invited to grow with the company and expand their personal capabilities. They are rewarded and recognized for their personal contributions, which motivates them to do more and continue to grow. The combined result is that it reduces their desire to leave the company, and, in many instances, it increases their motivation to do a good job and remain with the company. When employee turnover is reduced, the organization saves the funds to search, relocate and train new employees. When employees are involved with the personal management of their tasks and assignments, they are empowered to work within the boundaries that enable them to make their jobs safer and more efficient. Most companies report a reduction in workers’ compensation claims and, as a result, see lower insurance premiums. This can provide significant savings, especially in the manufacturing environment where frequent accidents occur. When employees understand the financial impact of these claims, they are motivated and empowered to make the necessary changes to increase safety. Empowerment sparks new ideas and concepts throughout the organization, including ways to reduce waste and increase productivity and efficiency. While these may be small improvements, in the empowered environment they add up to additional profits over time. Additionally, empowerment improves the relationships among managers, leaders and employees, which correspondingly reduces complaints and grievances. While these elements are difficult to quantify, the productivity increase attributable to the resolution of these problems positively impacts the performance of the organization. Companies that have implemented an empowerment program have experienced a significant reduction in the number of lawsuits from employees and customers. An empowered workforce experiences increased job satisfaction, fosters better relationships with customers and suppliers, and produces a higher quality product or service. All of these factors contribute to a reduction in lawsuits and attorney fees. Benefit claims is an area organizations often overlook when assessing the overall effects and impact of empowerment. While savings will obviously vary depending on the benefit packages provided to employees, most companies report a reduction in medical and other health-related claims as job satisfaction and fulfillment rises. There is a demonstrable relationship between an enlightened workplace and overall performance. Companies who have empowered their employees are more productive, retain more customers and are more profitable. They are able to withstand economic pressures and competitive demands because of overall employee involvement. Leaders teach employees how to perform their delegated assignments and tasks in order to assure their timely and accurate completion. An effective method of educating employees both ensures complete understanding of assignments and addresses productive ways to complete them successfully. When tasks are delegated, many leaders become frustrated by the inability of employees to complete assignments in a timely and competent manner. Leaders often feel completing assignments by themselves is easier and faster. This becomes an excuse and a barrier to delegating altogether. 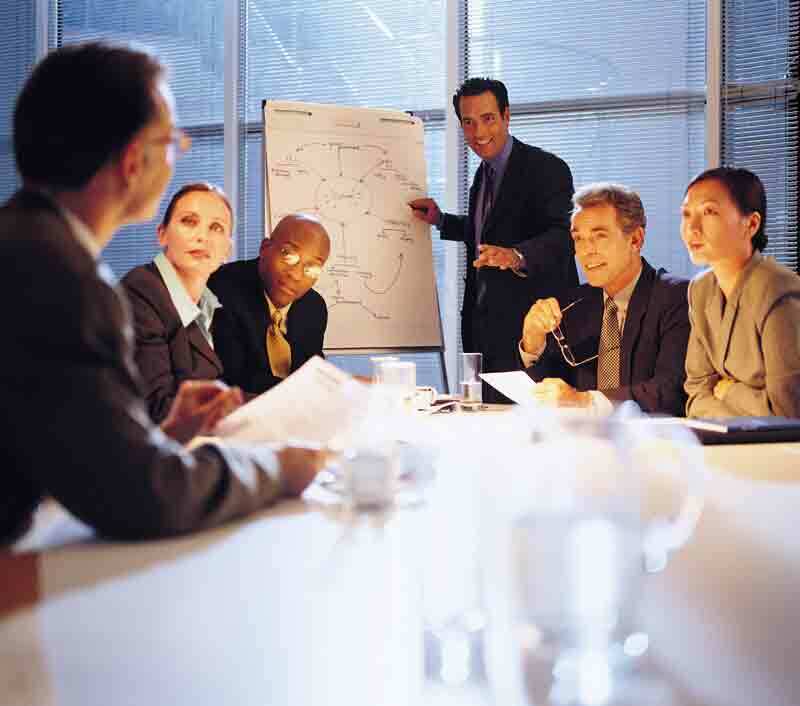 It also hampers the leader’s ability to grow and increase their productivity. Leaders understand that when they begin to delegate tasks and assignments, time and patience are needed to educate their employees to perform competently. Leaders regularly delegate assignments, but continue to see employees fall short of assignment completion and the expectations set for them. This is often the result of assignments or tasks being misunderstood, ignored, forgotten or viewed as overwhelming. These negative outcomes are generally attributed to improper or ineffective employee education. Leaders know that in order to increase productivity and results, the first step is to properly educate their employees in how they want the task and assignment carried out and how specifically to do it. Employees must also be made aware of set time frames for accomplishing the work and the desired results the leader expects. While employees may stumble initially, leaders understand that their proficiency will increase greatly with time and experience. Use of the following six-step instructional method is a top priority for leaders because it eliminates unsuccessful assignment implementation and completion. In order to effectively educate employees, leaders begin by previewing the overall assignment, task or responsibility. They look at all the components necessary to complete it effectively in a timely fashion and review their personal expectations in regard to it. Developing notes and reference points to use when meeting with individuals to be assigned is essential. One main responsibility in educating employees is to make instructions as clear and precise as possible. Leaders know that explaining clearly is a twofold process. They need to present their information in a way that is logical and free of confusion or ambiguity. The other side of clarity is how an employee perceives, interprets and responds to the instructions. Leaders make it a point to use vocabulary that is on the employee’s level of understanding. Specific examples are used that relate directly to the tasks and expectations within the given assignment. Leaders carefully organize and sequence the components of each task to be assigned. They eliminate irrelevant or unrelated information and are logical and realistic in their expectations and requirements. It is vital to explain in detail the work that needs to be done. Leaders need to both offer ideas or suggestions as to how best accomplish it and build in “think time” for employees to ponder and absorb what is being said. These are pauses inserted between major points of discussion, and include various essential components related to the task or the employee’s questions regarding the assignment. There is a time difference between hearing and comprehending. People talk much faster than one can actually listen. This is why leaders make it a point to explain small portions of an overall assignment within a given time frame, affording the necessary space for employees to think through the instructions and various responsibilities that apply to all aspects of their assignment. Additional time is allowed to formulate questions and concerns so employees feel thoroughly prepared. There may be times throughout the course of an assignment when an employee needs to use outside resources. Leaders cover these contingencies in their instructions. Employees should be given the names of two or more people that can help them in problem situations. Reference materials should also be offered with detailed explanations of how they can be used and for what types of situations. Discussions and illustrations on how and where to find solutions to problems pertaining to their assignments need to be included in the instructional process. As total understanding is key to task achievement, leaders consistently repeat and readdress major points, issues and detailed components of assignments. This repetition focuses the employee’s attention on what is being said. Repeating and readdressing issues also helps leaders avoid inserting last-minute changes in their assignments and/or instructions. It is also a good way to survey the understanding levels of an employee. Leaders find many employees are ready to begin their assignments immediately after one good instructional period. Many will need little or no intervention and prodding afterward. Leaders encourage employees to test themselves in instructional areas that are not clear to them. The process includes being able to identify and openly state the main idea of the various components, steps, actions and responsibilities in their assignments. They should be able to recall exact directives of each separate phase of their assignment. Employees should be able to verbally detail what they need to do, when it needs to be done, and how best to accomplish it. Ideas, concepts, methods or areas that remain unclear need to be revisited. Instructions should be given again in a learning style best suited to achieving total understanding. Leaders find that self-testing works effectively at the end of an instructional period to review and solidify the various details and processes within the given assignments.